Crude oil stock news: As drilling costs continue to rise over the last decade, the price of crude oil increased alongside. This makes crude oil stocks a promising sector for investors right now. The latest news has crude oil stocks generally lower risk and higher gain compared to many other sector stocks because the energy sector is currently flooded with cash. Today there are about 2 billion energy consumers in the global economy, and by 2030 the number is projected to increase by at least another 3 billion. And every government in the world values keeping the lights on, which makes energy and oil driving economic forces. The latest news suggests that governments spend a collective $1.1 trillion every year on resource subsidies. Countries are known to set aside around 5% of their gross domestic product (GDP) for energy subsidies. Crude oil futures closed in near a six-week high in mid-April, despite an increase in oil stockpiles due to the escalating conflict in Ukraine. Further developments there are driving oil prices up this month. Fears surge over whether the West will place new sanctions on Russia, the second largest oil exporter in the world. Such sanctions would affect oil supply, especially in Europe and Asia. On the New York Mercantile Exchange on April 17, crude oil futures for May delivery dropped 0.04% to $103.72, sitting just below the previous day's peaks of $104.97. 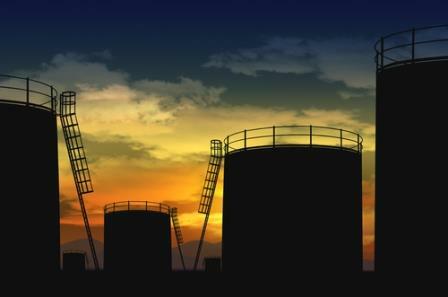 Crude oil prices remained steady on April 16 after a report showing that crude inventories went up by 10.01 million barrels in the week of April 11, more than the expected 2.25 million barrels. The amount marks the largest weekly increase in the stockpiles in the past 13 years. Here are two crude oil stocks that stand to benefit from this surging sector. The Eagle Ford shale formation in Southern Texas is the largest oil formation in the United States – and it's making investors very rich. Its daily production has reached more than 1.36 million barrels – about 25 times as much oil as it did produced in 2010. "In March 2013, Texas oil production reached its highest level since 1984," Money Morning's Global Energy Strategist Dr. Kent Moors said. "In all, the Lone Star State pumped more than 74 million barrels of crude, which means if Texas were a country, it would be one of the 15 largest oil producers in the world." Soaring output from Texas helped the U.S. account for 10% of the global oil output in the fourth quarter of 2013. "Vast new fields and new drilling techniques developed in the U.S. have created a 'supply shock' that is turning the global energy industry on its head," Moors said. Two crude oil stocks stand to see major benefits from Eagle Ford's booming output. EOG Resources Inc. (NYSE: EOG) is a crude oil producer that has experienced huge output gains from Eagle Ford. In 2012, EOG increased production from the Eagle Ford by 150% to 94.4 million barrels of oil equivalent (Boe). That makes it the largest oil producer operating on the formation. EOG stock has gained nearly 21% year to date, and nearly 70% in the last 12 months. Chesapeake Energy Corp. (NYSE: CHK) is the second-largest natural gas producer in the U.S., but it is also heavily involved with crude oil and holds a leading position in the Eagle Ford. CHK is one of the top crude oil stocks to buy – it climbed almost 9% in the last month and is up almost 43% in the last year.